Did you ever wonder what Beer has to do with running your Title Company or Law Firm? More than you might think actually. 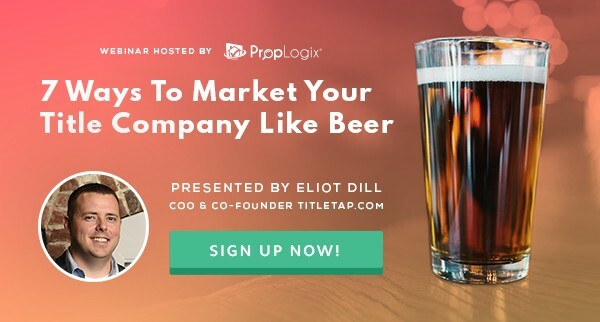 Join us on Wednesday, February 20th at 10am EST as we co-hosts a webinar with PropLogix on how to market your law firm or title agency like one of the most iconic beer brands in history. You won’t want to miss the latest and most effective ways to get your brand out there!